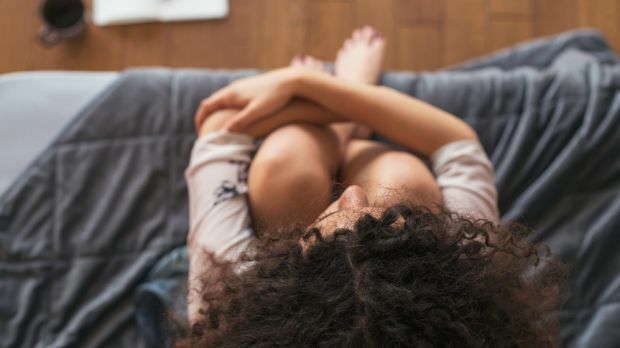 Patients with early breast cancer who are socially isolated have a higher risk of dying from their disease, a new study suggests. Women with fewer social ties — to friends, family, community and religious groups, as well as spouses or romantic partners — were 43 percent more likely to see their breast cancer return, 64 percent more likely to die from breast cancer and 69 percent more likely to die from any cause, according to a study recently published in the journal Cancer. Although the study finds a link between social ties and health, it doesn’t prove that strong social support actually prolongs life, said coauthor Wendy Chen, a breast cancer medical oncologist at Boston’s Dana-Farber Cancer Institute. While researchers considered a number of explanations for the difference in women’s outcomes, it’s possible that something other than social support explains why some women lived longer than others. Yet social connections can help patients with cancer in many ways. Beyond moral support, friends and family can provide practical help, such as picking up prescriptions, cooking meals and providing transportation to doctor’s appointments, said Elissa Bantug, program manager of communication, education and survivorship at Johns Hopkins Kimmel Cancer Center in Baltimore, who was not involved in the new study. The new findings are consistent with earlier research about the health impact of social support, said Dr. Sandra Swain, a professor and breast cancer specialist at Georgetown University Medical Center in Washington, who was not involved in the study. Having a spouse or partner can improve a person’s health in many ways, Swain said. A woman’s partner may encourage her to see a doctor if she has symptoms, such as a breast lump, giving her a chance to be diagnosed and treated earlier. Partners also can encourage each other to exercise, eat healthier and take medications. About 246,660 American women will be diagnosed with invasive breast cancer this year, according to the American Cancer Society. More than 40,000 women are expected to die from the disease. The new study, funded by the National Cancer Institute, included 9,267 women in the After Breast Cancer Pooling Project, which combined four studies of women from California, Utah, Oregon, Arizona, Texas and China. Researchers examined a range of lifestyle factors, including exercise, diet, weight management and social interactions. Doctors grouped women into three groups, according to their number of close social contacts, such as first-degree relatives or romantic partners. Doctors followed women for a median of 10 years. Researchers found that socially isolated women — those whose support networks put them in the bottom third of patients — were very different from socially well-connected women, said lead author Candyce Kroenke, a research scientist with the Kaiser Permanente Northern California Division of Research. (Kaiser Health News is not affiliated with Kaiser Permanente.) Isolated women were heavier, more likely to smoke, less likely to exercise and less likely to undergo chemotherapy, even if this treatment would have been appropriate for them. In the final analysis, however, these factors didn’t explain health differences between the three groups of women, Kroenke said, leading her to conclude that social isolation was still the most important factor. The study has significant limitations. In terms of health and demographics, the population studied doesn’t reflect the overall population of American breast cancer patients, which makes it hard to know how well the findings relate to women here, noted Dr. Deanna Attai, a breast surgeon with UCLA Health in Los Angeles. Fewer than 5 percent of the women studied were black or Hispanic. As a group, study participants were much healthier than the typical American woman, said Mehta, a board member at Living Beyond Breast Cancer, a nonprofit advocacy group. Nearly half had a healthy body mass index. In the U.S., only one-third of women have a healthy weight. Women in the study also exercised more than most Americans. Significantly, most of the women had early-stage breast cancer, which is far more curable than advanced disease. Hardly any women had metastatic cancer, a type that has spread to other organs and is typically fatal.